Broward County in southern Florida is a spectacular place to live, with golf courses as well as proximity to the Atlantic Ocean beaches. For golfers and their families, Broward golf course communities provide luxury living close to rolling greens, clubhouses and many amenities. Most of the communities are close to I-95 or I-75 so commuting or exploring the excitement of the bigger city is easy. Located in Palm Beach Gardens, Florida, is the BallenIsles Country Club. Comprised of 33 neighborhoods of distinctive homes, this award winning setting is luxury at its finest. Mature tropical setting and landscaping surround the homes. There are three golf courses, all historic. Properties include single-family homes, condominiums and estates. First class amenities have given BallenIsles a place on the Platinum list. Weston Hills Country Club is located in Weston Florida and is an invitation-only club.. Two 18-hole golf courses, tennis and fitness center are some of the amenities for residents. Schools in the area include Gator Run Elementary, Falcon Cove Middle and Cypress Bay High School. Plantation hosts the Jacaranda Golf Club, a 36-hole course. The community is gated, and some property is located on a canal. With formal dining rooms, garden views and more, Jacaranda is the best of the Florida golfing lifestyle. The club was named South Florida PGA “Golf Club of the Year”. Schools nearby include Tropical, Seminole and Plantation. Situated in Davie is Rolling Hills Golf Course and the residences that comprise Rolling Hills, Lakes Estates are distinctive. One might be a luxury 3 bedroom with fireplace, pool and more. Schools in the area are Silver Ridge, Indian Ridge and Western. 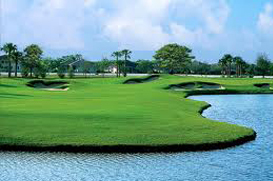 There are many possibilities; explore Broward golf course communities now.